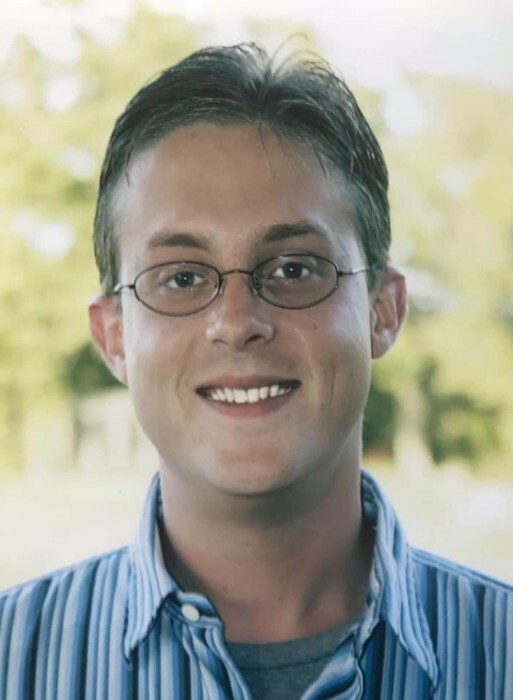 Scott Russell Weaver, 40, passed away on Friday, January 18, 2019. Scott Russell Weaver was born on October 16, 1978 to Willie Mac and Sharon Moore Weaver in Canyon. He graduated from Canyon High School in 1997 and went on to attend Texas Tech University. Scott loved traveling, skiing, pizza, dogs and collecting baseball cards. He also loved spending time at Carlsbad Caverns in New Mexico and building model rockets and shooting them outside of Canyon with his cousin, Donavan. He especially loved fishing with his, Papa Moore. He was always a great helper to his sister, Allison, and her friend, Sammi, when they were younger. He was preceded in death by his parents, Sharon Moore Weaver in 2002 and Willie Mac Weaver in 2011; grandparents, Russell Moore in 2007, Mary Moore in 2007, Annie Weaver in 2000 and D.R. Weaver in 1970; and by his beloved dog, Zenna Boop. Survivors include his sister, Allison Weaver McDaniel and husband, William R.; two nieces, Ashley Sharon McDaniel and Lila Grace McDaniel; and his special friend, Shonda Hooper. The family suggests memorials be made to Heartsway Hospice of Northeast Texas, 205 E. Austin, Marshall, TX 75670, (903)938-5200.